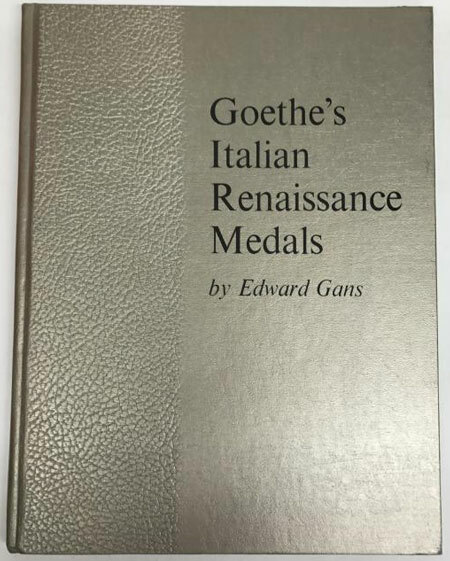 Goethe's Italian Renaissance Medals. 1969 republication of an essay in the Jenaische Allgemeine Litetur-Zeitung, 1810 by J. W. Goethe and Heinrich Meyer. Introduction and comments by Edward Gans. Hardcover, 12 pages plus eight plates of original medals owned by Goethe and eight plates of medals discussed by Goethe. Pages are clean if a bit musty.